Montana offers one of the most liberal elk seasons in the country. In many hunting districts, hunters can chase elk for 77 days, first with archery equipment and then with rifles. In some cases, elk damage private property (e.g. crops) or their population grows too big, so state biologists, at the request of private landowners experiencing crop damage, add shoulder seasons or game damage hunts. 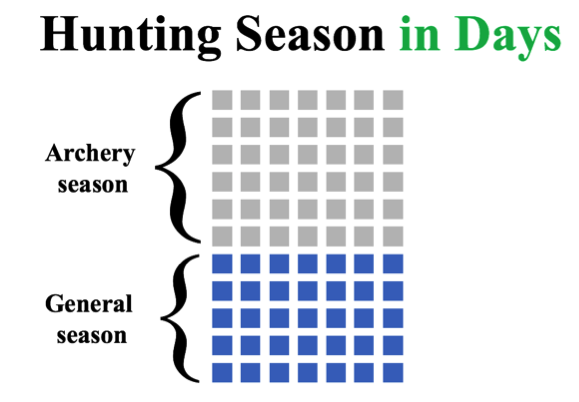 Shoulder seasons involve entire hunting districts whereas game damage seasons are more point specific, often involving one or a few ranches or farms. Typically, only antlerless elk are targeted. In the early 2000s, private landowners in HD 204 began to experience increasing crop damage by elk. At the same time, Montana Fish Wildlife and Parks (FWP) rolled out a statewide elk plan that set population objectives for elk in each hunting district. Finally, the 58th Montana Legislature (2003) passed HD42, which directed FWP to manage elk within these population objectives. Unfortunately, the numbers of migratory elk on public land has not recovered. Meanwhile, resident elk on private land have flourished and continue to damage crops. This is frustrating for hunters who can’t find elk on public land and landowners who want to see fewer elk. The population now has about 1000 elk (discussed here), which is twice the population objective set by state biologists. This is why game damage hunts are in place: More harvest needs to happen on private land. But is the 186-day season helping? Sort of. Based on Montana’s 2016 hunter harvest survey, over 80% of the antlerless harvest in HD 204 came off a single property (MPG Ranch), which comprises about 5% of the land in the entire hunting district. This would not be possible without a game damage hunt. 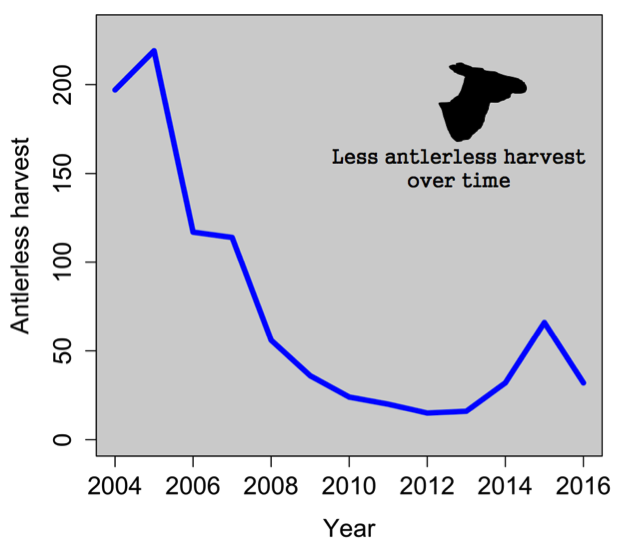 More than 50% of the antlerless harvest on MPG Ranch happens during game damage hunts. Game damage policies allow staff at MPG Ranch to select 75% of the hunters during the early supplemental game damage season and 25% of the hunters during the late game damage season. 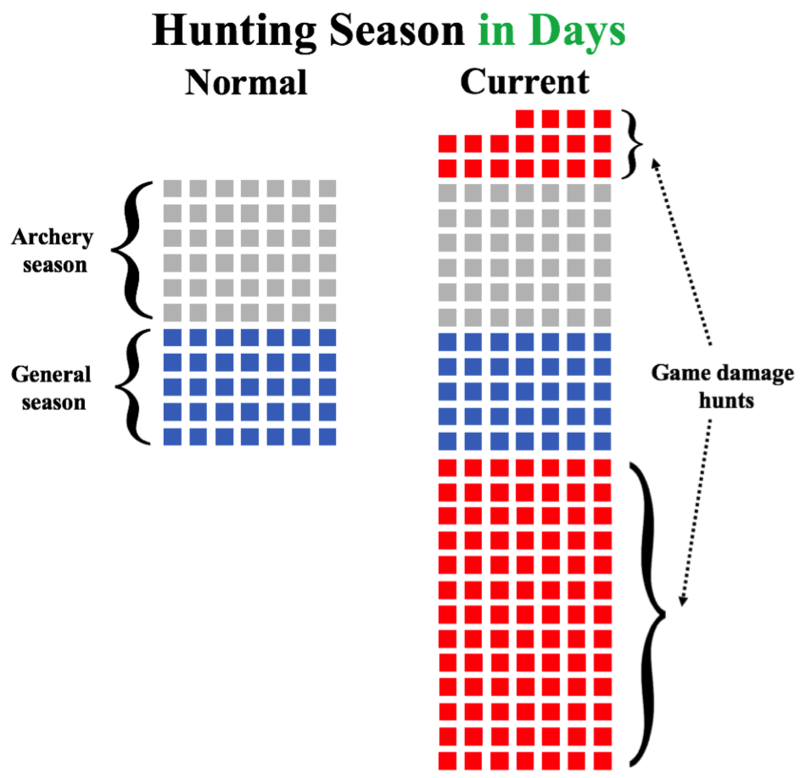 Only 12 hunters participate, by law, in the supplemental game damage seasons. The hunters selected by MPG Ranch are very effective hunters. The roster system isn’t always effective. 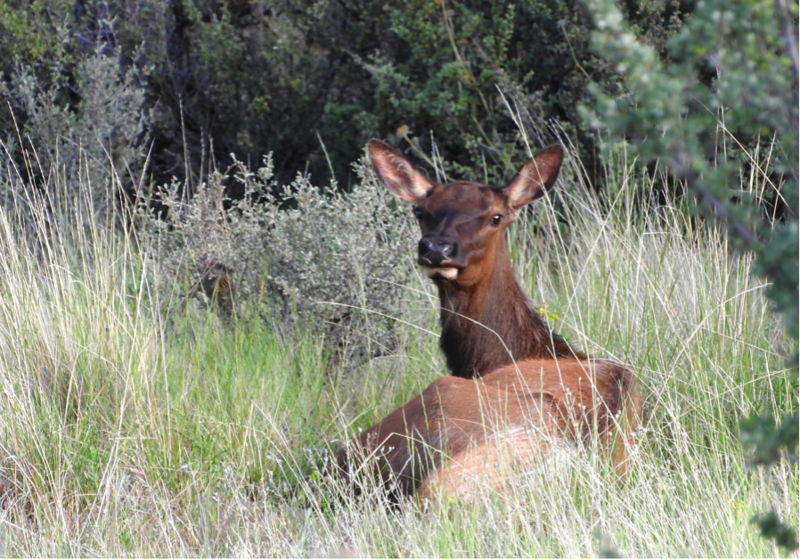 At MPG Ranch this year, five consecutive hunters taken from the roster wounded six elk. Five elk were recovered. These hunters were great people, but they collectively wounded more elk than all the hunters that MPG Ranch had picked over the past three years combined. Not all elk hunters are equal in terms of skill and effectiveness. To give landowners more flexibility in choosing good hunters, while reducing overall elk numbers, Montana Fish Wildlife and Parks is now proposing antlerless tags that can be bought over the counter that will only be valid on private lands in most hunting districts within Region 2. These tags could be used in HD 204. Perhaps a few seasons with these new antlerless tags will help the state reach their population objectives. If so, maybe the game damage hunts and shoulder seasons will be unnecessary. But for this plan to work, landowners will need to grant access to new hunters. Hunters will need to respect private land and be prepared to hunt and shoot well. Even though 186 days of elk hunting sounds like a hunter’s dream, the elk deserve a break.